Some people like to think of credit cards as luxury goods, much like fine jewelry or an expensive car. Yet for all the valuable benefits and attractive rewards offered by premium credit cards, they are still just financial instruments with annual fees that add up to hundreds, or even thousands of dollars per year. Smart credit card users need to look past the marketing material and focus on finding a card that offers not just compelling features, but competitive value. Citi's top-of-the-line Prestige card offers cardholders points in its ThankYou rewards program that can be redeemed for gift cards, travel reservations, and merchandise, or transferred to miles with one of eight foreign airline programs. 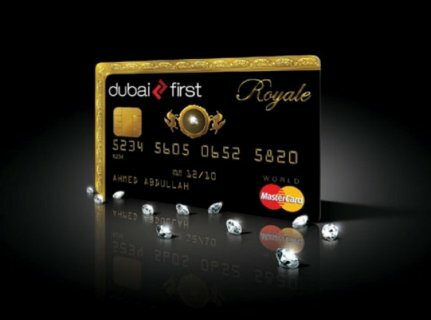 This card also features airport lounge access and a $250 annual airline fee credit, but costs $450 per year. Alternatively, the new Diner's Club Premier MasterCard offers points in the Diners Club Rewards program that allows customers to transfer their points to miles with 14 different airlines and seven different hotel programs. This card also features airport lounge access, but has an annual fee of just $100. The Visa Black card is offered by Barclays Bank and is made of stainless steel and carbon fiber. Cardmembers earn rewards worth 1% of their spending as cash back or gift cards, or 2% as airline reservations. Cardholders also receive unlimited airport lounge visits and luxury gifts from the leading brands, but pay a $495 annual fee. Most cardholders will find more value in Barclaycard's new Arrival Plus, which offers double miles on all purchases, and each worth one cent as statement credits towards any travel expenses, not just airfare. Cardholders also receive a 10% rebate on miles redeemed, so rewards total 2.2% of spending. And unlike the Visa Black card, Arrival Plus's plastic card is equipped with an EMV smart chip to ensure compatibility in foreign countries. The annual fee is only $89 which is waived the first year, which goes a long way toward paying for occasional airport lounge entry fees. The mysterious Amex Centurion charge card is an invitation-only product requires an initiation fee of $7, 500 an annual fee of $2, 500, making it easily the most expensive card offered in the United States. Among its numerous benefits are automatic airline elite status with Delta, airport lounge access, and unlimited full-fare business or first class international companion tickets. Yet the American Express Platinum card is undeniably a better deal for most cardholders. While customers won't receive elite status with Delta, they will still receive a Delta SkyClub membership and access to the same other lounge networks offered to Centurion cardholders. Platinum cardholders only receive a single companion ticket, but most full fare tickets cost more than twice as much as a discounted ticket anyways. There is a $450 annual fee for this card, but cardholders receive a $200 annual airline fee credit. Top Ten Credit Cards - Why We Love Citi Simplicity® Card ?!. Compatible with iPhone 6 Plus 5.5 inch only. Wallet has a snap closure in front. Space for at least nine credit cards. Wallet has extra out side pocket for access to things you need quickly. This wallet is square in shape. Contains 4 generous full-length pockets, 1 zipper around pouch and 1 interior zippered pocket,16 credit card slots and 1 ID window. Soft and smooth,Luxury and exclusive.Detail stitching matches the wallet color. Available in 2 attractive colors to fit your personal style. What are the top Visa Credit Card offers? Visa credit Card offers the possibility of buying things without having to carry around cash. It is usually a fast way of paying, and some stores offer special registers at which people can only pay with credit cards. The Chrysler 300 "letter series" were high-performance luxury cars built in very limited numbers by the Chrysler Corporation in the U.S. from 1955-1965. Each year's model used a new letter of the alphabet as a suffix (skipping "i"), reaching 300L by 1965, after which the model was dropped. Baur is a Karosserie or coachbuilder in Stuttgart, Germany, which has been building BMW convertibles since the 1930s. Currently, they are the body and assembly works for IVM Automotive, a member the Ed Group. They enjoy an excellent reputation for quality and do prototype work for many manufacturers such as Porsche, Audi and Ford.